Q-Connect Adhesive Tape 24mm x 66m (Pack of 6) KF27017 Pack of 6 Q-Connect Easy Tear Tape. Strong polypropylene clear adhesive tape. Seals fast and holds tight. Ideal for packing and sealing and mending. 24mmx66m. Pack of 6. Q-Connect Adhesive Tape 19mm x 33m (Pack of 8) KF27013 Pack of 8 Q-Connect Easy Tear Tape. Strong polypropylene clear adhesive tape. Seals fast and holds tight. Ideal for packing and sealing and mending. 19mmx33m. Pack of 8. 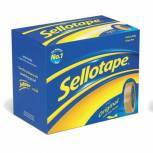 Sellotape Original Golden Tape 24mm x 66m (Pack of 12) 1443268 Pack of 12 Sellotape Original Golden Tape. 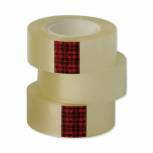 Extra sticky, easy tear adhesive tape that is clear when applied. Non static for better control. Ideal for general office and household use. Size: 24mm x 66m. Pack of 12 rolls. 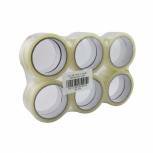 Q-Connect Adhesive Tape 24mm x 33m (Pack of 6) KF27014 Pack of 6 Q-Connect Easy Tear Tape. Strong polypropylene clear adhesive tape. Seals fast and holds tight. Ideal for packing and sealing and mending. 24mmx33m. Pack 6. Q-Connect Adhesive Tape 19mm x 66m (Pack of 8) KF27016 Pack of 8 Q-Connect Easy Tear Tape. Strong polypropylene clear adhesive tape. Seals fast and holds tight. Ideal for packing and sealing and mending. 18mmx66m. Pack of 8. 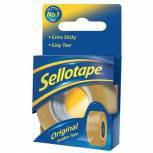 Sellotape Original Golden Tape 24mm x 66m (Pack of 6) 2028242 Pack of 6 Sellotape Original Golden Tape. Extra sticky, easy tear adhesive tape that is clear when applied. Non static for better control. Ideal for general office and household use. Size: 24mm x 66m. Pack of 6 rolls. 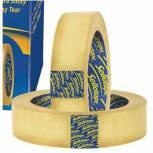 Sellotape Original Golden Tape 24mm x 33m (Pack of 6) 1443254 Pack of 6 Sellotape Original Golden Tape. Extra sticky. Easy tear adhesive tape that is clear when applied. Non static for better control. Ideal for general office and household use. 24mm x 33m. Pack of 6 rolls. 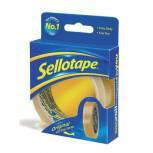 Sellotape Original Golden Tape 48mm x 66m (Pack of 6) 1443304 Pack of 6 Sellotape Original Golden Tape. Extra sticky. Easy tear adhesive tape that is clear when applied. Non static for better control. Ideal for general office and household use. 48mm x 66m. Pack of 6 rolls. 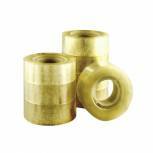 Sellotape Original Golden Tape 18mm x 33m (Pack of 8) 1443251 Pack of 8 Sellotape Original Golden Tape. Extra sticky, easy tear adhesive tape that is clear when applied. Non static for better control. Ideal for general office and household use. Size: 18mm x 33m. Pack of 8 rolls. 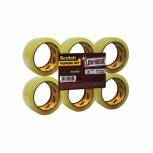 Scotch Easy Tear Clear Tape 19mm x 33m (Pack of 8) ET1933T8 Pack of 8 Scotch Easy to Tear Transparent Tape ideal for everyday light duty sealing. Size - 19mm x 33m. Q-Connect Adhesive Tape 12mm x 66m (Pack of 12) KF27015 Pack of 12 Q-Connect Easy Tear Tape. Strong polypropylene clear adhesive tape. Seals fast and holds tight. Ideal for packing and sealing and mending. 12mmx66m. Pack of 12. 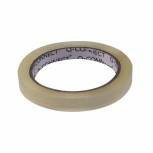 Clear Sticky Tape 24mmx66m (Pack of 12) WX27017 Pack of 12 Adhesive tape for sealing, securing and packaging. Made from clear polypropylene plastic. Easy-tear formulation: rip as much tape as you need. Strong self-adhesive backing for paper and card24mm thick tape supplied on 66m rolls. Pack of 12 rolls. 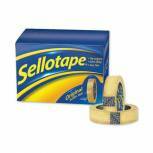 Sellotape Original Golden Tape 24mm x 50m (Pack of 6) 1443266 Pack of 6 Sellotape Golden Tape. Extra sticky. Easy start tab. Anti - tangle and easy-tear - no need for scissors. 24mm x 50m. Pack of 6 rolls. 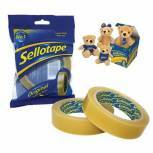 Sellotape Original Golden Tape 18mm x 25m (Pack of 8) 1569069 Pack of 8 Sellotape Golden Tape. Extra sticky. Easy start tab. Anti - tangle and easy-tear. 18mm x 25m. Pack of 8 rolls. 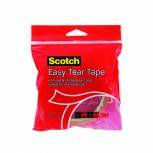 3M Scotch Easy Tear Clear Everyday Tape Single Roll GT500077224 Pack of 1 Scotch Easy Tear Tape 24mm x 50m. 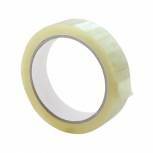 Easy to tear transparent tape for everyday light duty sealing, labelling and repairs. Ideal for paper and envelopes. Scotch Packaging Tape Low Noise 48mm x 66m Clear (Pack of 6) 3707 Pack of 6 3M Scotch Super Clear Low Noise Packaging Tape. 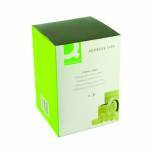 Ideal for package, envelope and box-sealing. Consistent and reliable performance in a wide range of environments and applications. Includes 12 rolls. 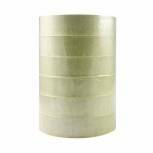 Each roll measures 48mm x 66m. Q-Connect Easy Tear 12mmx66m Polypropylene Tape KF27015X Pack of 1 Q-Connect Easy Tear Tape. 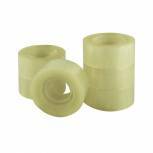 Strong polypropylene clear adhesive tape, seals fast and holds tight, ideal for packing, sealing and mending. Size: 12mmx66m. 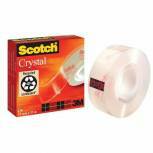 Scotch Crystal Tape 19mm x 33m 600 Pack of 1 Scotch Crystal High-Clarity Long-life Hand-tearable Tape. A multipurpose transparent tape for permanent mending applications with a strong and permanent bond that will not dry out and crack. Size - 19mm x 33m.